Why the restructure? According to Larry it’s to help them streamline management of their various companies and also stay focused on their initiatives and new opportunities. It’s “ …about businesses prospering through strong leaders and independence.” – Larry Page. For anyone who enjoys innovation in tech, this should come as exciting news – it means Google's core internet product teams will be even more focused on improving and innovating their internet products; and we might start to see more ambitious and technological milestone projects being developed by Google X and Google Ventures. 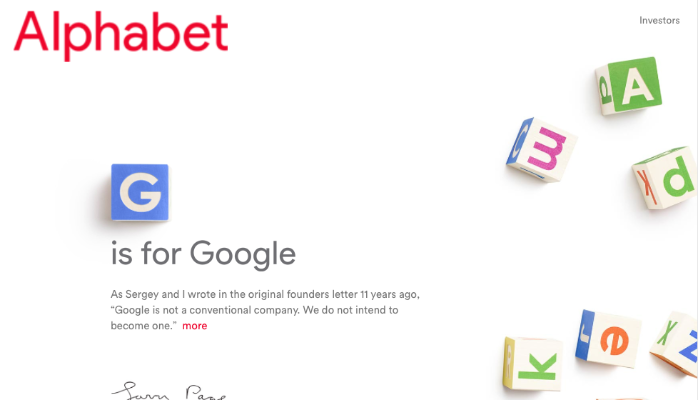 Congratulations Google, uh...I mean Alphabet, for moving tech forward. Let's see what you do next.